This is a collection of Calvin's Commentaries -- a large collection, about four times the size of a typical novel. 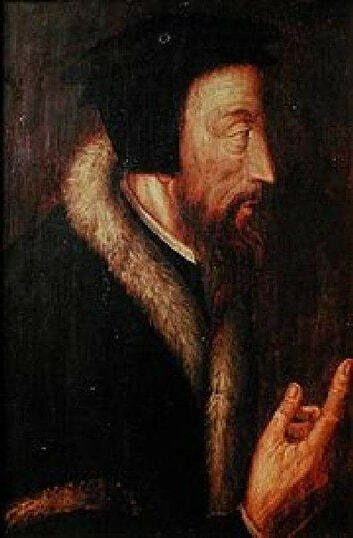 According to Wikipedia: "John Calvin (né Jean Cauvin; 10 July 1509 27 May 1564) was an influential French theologian and pastor during the Protestant Reformation. He was a principal figure in the development of the system of Christian theology later called Calvinism. Originally trained as a humanist lawyer, he suddenly converted and broke from the Roman Catholic Church in the 1520s. After a violent uprising against Protestants in France, he was forced to flee to Basel, Switzerland, where in 1536 he published the first edition of his seminal work, Institutes of the Christian Religion. Calvin was invited by William Farel to help reform the church in Geneva. However, the city council resisted the implementation of Calvin and Farel's ideas and both were expelled. At the invitation of Martin Bucer, Calvin proceeded to Strasbourg where he became the minister of a church of French refugees. He continued to support the reform movement in Geneva, and was eventually invited back to lead its church. Following his return he introduced new forms of church government and liturgy, despite the opposition of several powerful families in the city who tried to curb his authority. During this period, Michael Servetus, a Spaniard known for his heretical views, arrived in Geneva. He was denounced by Calvin and executed by the city council. Following an influx of supportive refugees and new elections to the council, Calvin's opponents were forced out. He spent his final years promoting the Reformation both within Geneva and throughout Europe."